Yevgeny Yankilevich, the deputy general director of Novaport and the head of Siberian cluster of Novaport, explains more about the Russian group, its passenger growth and key developments. 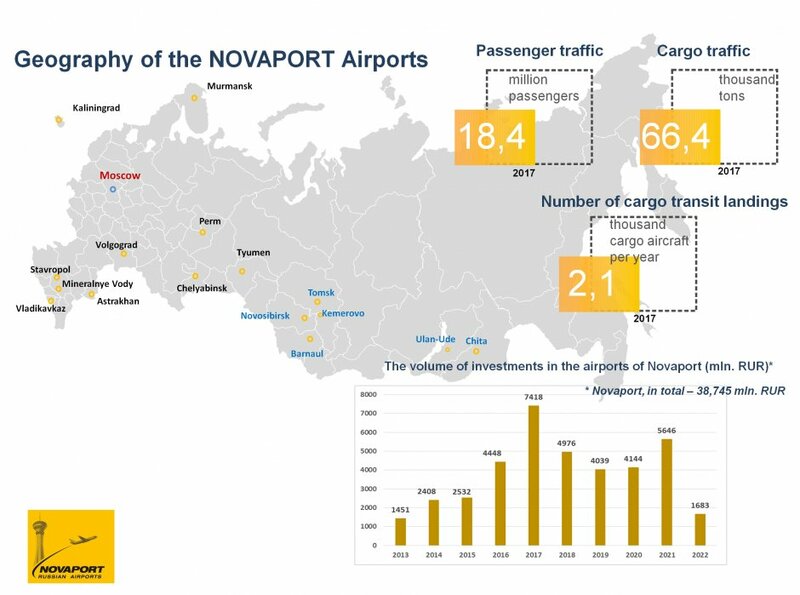 Novaport Group operates 16 airports in Russia, from Kaliningrad to Chita. Yevgeny Yankilevich, the deputy general director of Novaport and the head of Siberian cluster of Novaport, explains more about the group, its passenger growth and key developments. Total passenger traffic across the group's airports exceeded 18.4 million passengers in 2017, which made up 10 percent of the total number of passengers handled by Russian Federation airports. Last year, we started to operate at Stavropol, Vladikavkaz and Ulan-Ude. The latter is very promising for development due to its proximity to Lake Baikal in south-east Siberia, the oldest and deepest lake in the world with 20 percent of the earth's total unfrozen freshwater reserve. Baikal International Airport in Ulan-Ude (the capital city of the Republic of Buryatia) is a large regional airport providing scheduled and charter international and domestic passenger services. The catchment area of the airport covers territory of the Republic of Buryatia, border areas of the Republic of Tyva, the Irkutsk Region and Trans-Baikal Territory. In April 2018, the construction of a new passenger terminal for international flights was started, to be completed by the end of 2020. The airport is located in the region with maximum number of sunny days per year (more than 350), that is more than in any other region of Russia. Baikal is the closest international airport in Russia to the border with Mongolia and its capital city Ulaanbaatar. The historical and economic relations are very strong. Due to the cancellation of the visa regime, the migration of population between Mongolia and the Republic of Buryatia is rather extensive. In July 2017, Hunnu Air Mongolian airlines started to operate regular flights from Ulan-Ude to Ulaanbaatar. The airport currently serves regular flights to Beijing, Sanya, Seoul, Ulaanbaatar and also to 15 Russian domestic destinations. The proximity to Asia-Pacific countries makes the Republic of Buryatia attractive for tourists from China, Japan and South Korea. The airport is one of the main gateways to Lake Baikal, which is located only 130 km from Ulan-Ude city. In 2017, Baikal secured 5th Freedom air traffic rights. This allows foreign airlines to operate transit flights via Ulan-Ude to third countries, with the opportunity to embark/disembark passengers as well as to load/unload cargo. It also offers special opportunities for carriers from China and other Asia-Pacific Region countries. Hunnu Air will be the first air carrier to take advantages of the 5th Freedom rights after launching flights on the route Ulaanbaatar – Ulan-Ude – Manchuria. Novosibirsk International Airport (Tolmachevo) is the largest airport in Novaport Group. It is the busiest airport in the Asian part of the Russian Federation; a passenger, cargo and mail hub at the crossroads of the main air routes connecting Europe with China and Southeast Asian countries. The location in the center of Russia contributes to its development as a transfer hub, providing suitable connections for passengers arriving from China to visit cities like Moscow, Saint-Petersburg and Kazan. Tolmachevo's route network currently comprises more than 95 international and domestic destinations and it handled five million passengers in 2017. Oneworld alliance member S7 Airlines is the main air carrier at the airport and operates regular flights to more than 75 destinations. Since April 2017, S7 has operated its Embraer 170-LR regional aircraft from Tolmachevo, which now provide service to 33 destinations. 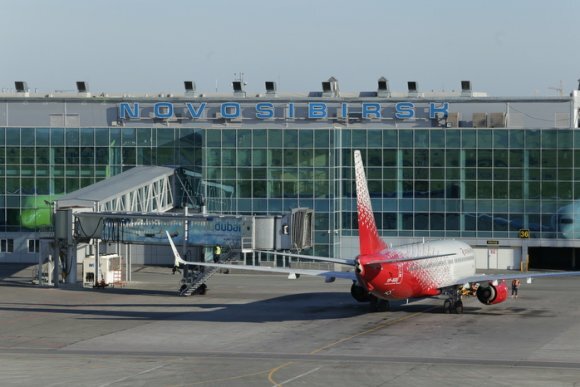 The airline enhances the development of Novosibirsk airport not only as a hub on the routes of the Far East of the Russian Federation - European part and Central Asia - but also strives for competition for international transit passenger traffic. During the period from 2017 to 2018, the airline launched the regular flights to Bangkok and Tokyo. Scheduled flights to Sanya and Nha Trang are to be launched in the very near future. As of today, four connecting “waves” of arrivals and departures exist in the daily flight schedule of the airport to provide the transfer of passengers between the Far East of the Russian Federation, China, Southeast Asia and destinations in Europe, the European part of Russia and Central Asia. In 2012, only 70,000 transfer passengers were serviced at Tolmachevo airport. However in 2017, transfer passenger traffic exceeded one million passengers. By the end of 2017 the increase of transfer passenger traffic amounted 52 percent, and its contribution to the total number of the passengers handled exceeded 20 percent, thus approaching the share of transfer at the Moscow hub airports. In 2017, Tolmachevo airport serviced 65,000 transfer passengers arriving from/departing to China, up 36 percent on the previous year. Direct passenger traffic between Novosibirsk and cities in China rose by 89 percent, from135,000 to 255,000 passengers. Chinese destinations involve scheduled flights to Hong Kong, Beijing, Sanya, Urumchi, Harbin and Shanghai. The airport's main focus is increasing passenger traffic from China. A Chinese version of the airport's website has been developed, information signs in passenger terminal are translated into Chinese and the terminal voice announcements are also repeated in Chinese. The current agreement between the Russian Government and the People’s Republic of China on visa-free group travelling enhances the passenger traffic increase. By the end of 2017, total passenger traffic from China to Novosibirsk under the agreement of free-visa travelling made up over 24,500 passengers. In June 2018, the airport achieved China Friendly certification. The airport is developing extensive plans for the future. The short-term plans include the construction of a new 125,000 sq m passenger terminal and capacity of up to ten million passengers per year, and construction of in-flight catering factory with capacity of producing up to 16,000 meals daily. Development of a cargo hub is another important part of our plans. Tolmachevo currently serves regular flights of domestic and international airlines Cargolux, Lufthansa Cargo, Uni-top Airlines, Volga-Dnepr, AviaStar-ТU, AirBridgeCargo and CargoLogicAir. 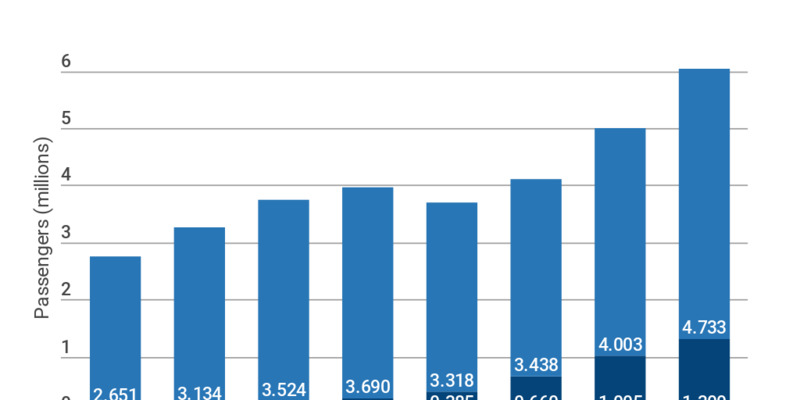 The frequency of cargo flights with transit landing is up to 60 per week. 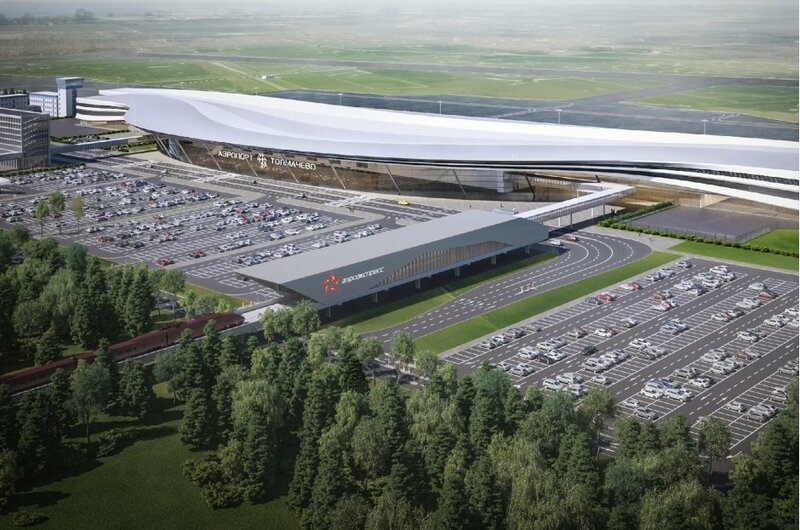 The short-term plans of the airport involve the second phase of cargo terminal construction with a total space of 11,000 sq m.
In 2013, the International Mail Processing Center (IMPC) of FSUE Russian Post was opened at Tolmachevo for processing of express mail from China and Southeast Asian countries. By the end of 2016, IMPC of Tolmachevo processed 20 million international parcels; that is almost by four times more than in 2015. 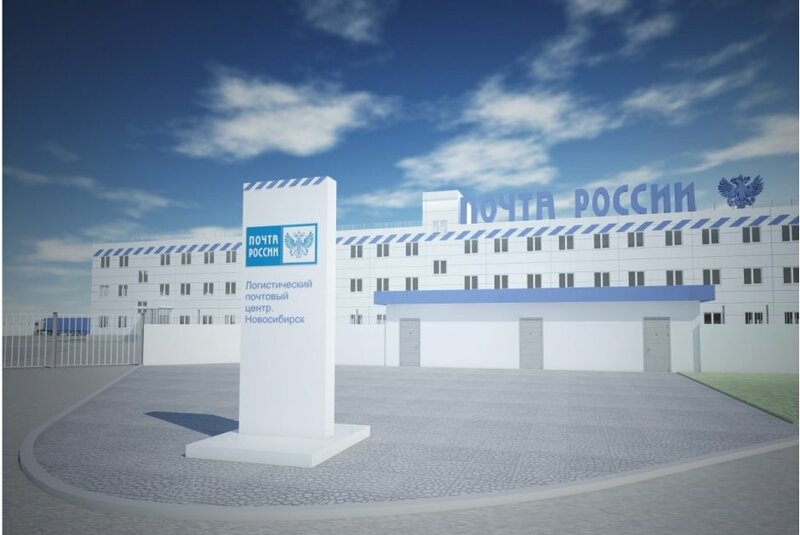 Tolmachevo is increasing its transport and logistics potential with the construction of the Logistics Post Center, with total space of 48,000 sq m. The centre will be opened in 2019 and form a key point of processing and distribution of international mail of Russia, with capacity of one million parcels per day.